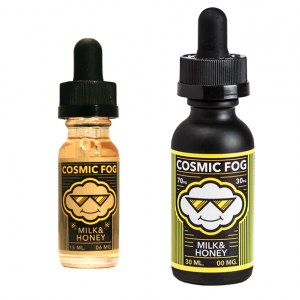 Bazooka Vape Juice is going to please vapers with a new awesome strawberry flavor e-juice. Strawberry flavor is one of the most popular among vapers. That is why there is a wide range of strawberry e-juices. Anyway, Bazooka Vape the one which stands from the others. It tastes like strips of strawberry licorice candy. Great harmony of sweet and sour tones makes Bazooka Vape Strawberry Sour Straws unique in the category of strawberry e-juices. The taste is so rich and delicious! When you inhale, you get a sour strawberry flavor. While on exile, the flavor is very similar to red licorice candy. It brings more sweetness but what is important is not too sweet. Besides, it is very close to the authentic flavor of strawberry candy. Moreover, a smooth taste of the e-juice guarantees an enjoyable vaping. Also, this e-juice is cotton friendly. It leaves the cotton nice after all-day vaping. Besides, Strawberry Sour Straws e-juice has 70/30 VG/PG ratio. It means that you will enjoy the tone of thick vapor. Sounds attractive! Right? All in all, this high-quality e-juice will strike you with its delicious strawberry flavor. Bazooka Vape Strawberry Sour Straws is an e-juice each vaper will adore.